Isis Wallet CEO Michael Abbott noted that the company had been exploring a name change since July thanks to the violent militant group known as ISIS, which stands for Islamic State of Iraq and Syria. While I totally understand where they’re coming from, part of me was kind of upset about it as well. It’s probably not their number one priority to stand up for what they believe in, but I felt they should have stuck with their original name. For one, the name Isis originated in Egypt, and was the name of the Goddess of health, marriage, and love. Isis was also known to be an “ideal mother and wife” and the friend of all, including both slaves and the wealthy. In other words, the name Isis represents a lot of good, so to give it up to the militants that seem to be representing so much bad is quite sad. Again, they’re just a payment company, but if the media referred to this group as “IS” instead of ISIS, the rest of the world could retain the original, beautiful meaning of Isis. 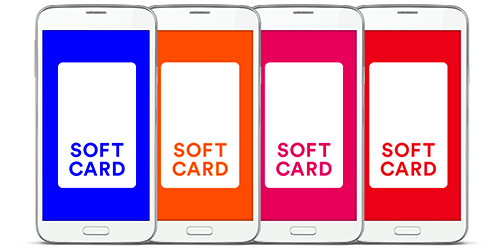 Why the Name Softcard Instead? That being said, it’s not gonna happen when media outlets continue to use the acronym and essentially create free PR for this group. At the end of the day, I do believe Softcard is a better name for the Isis Wallet. After all, you are loading cards into a virtual wallet based on software. And it’s kind of catchy, right? Ironically, the case for the iPhone you need to buy to run Softcard is literally the hardest shell I’ve ever had to deal with. Removing it will hurt your thumbs every single time. By the way, if you’re an existing Isis Wallet user, everything will continue to work as it currently does. The only difference will be the name. In the next few weeks, the company plans to launch a new app, which will initiate the name change. However, it’s unclear when the physical Pay with Isis Serve cards will be updated.